New Project! 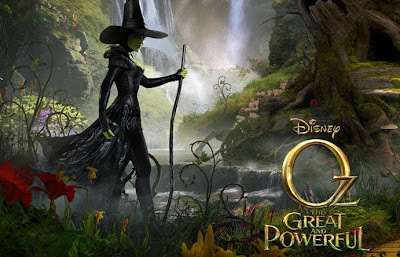 Oz: the Great and Powerful! Howdy Folks! Time for an update ...eh? Well, after finishing up on "Hotel Transylvania" I enjoyed a much needed break, then I took a short gig at the Santa Monica office of Animal Logic. I was animating on a theatrical short that I could tell you about, but I'd have to kill you (I'll update you when I legally can). With that done, I'm now headed back to Sony Imageworks for... "Oz: the Great and Powerful"
It's pretty exciting for me! Not only did I love "The Wizard of Oz" as a child, but it's directed by Sam Raimi! The man who brought us Evil Dead!! !